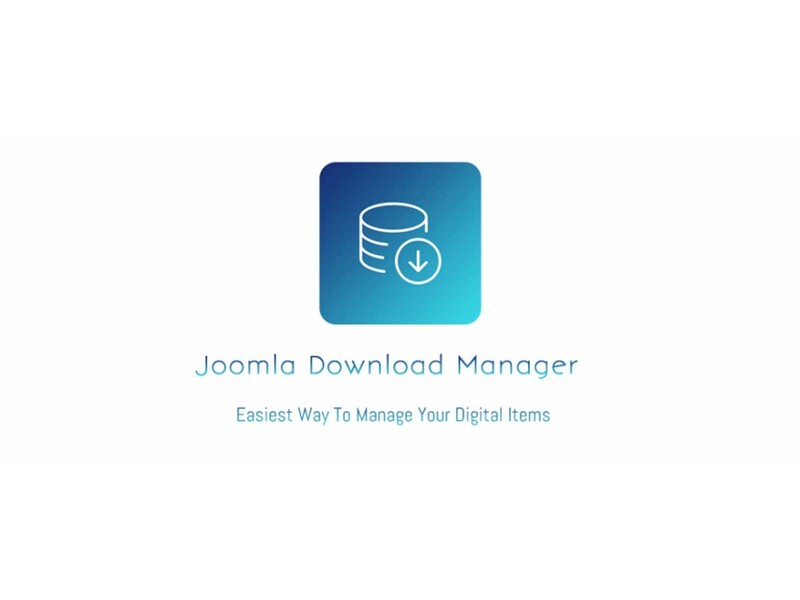 Download Manager is a Files / Documents Management Component for Joomla which will help you to manage, track, control file downloads easily from your site. Use Password Protection, Login Protection to control access to your files. Many thanks for a great component. Yes, modules are coming soon. i am getting Error #-601: File extension error. Hi, does your component support front page uploading? Glad you liked our contents. It means a lot to us. Hi! I installed it to my site joomla 3.4.2 and when I want to attached a word document I get this: Error #-601: File extension error. We have fixed the issue. Please download again to get the latest version (v1.1.0) and update your copy. I realy like this component. there is only one little drawback: I cant upload PDFs. The possibility is mentioned, but it doesn’t work. I get “Error #-601: File extension error.” When trying to upload PDFs. Only being able to upload pictures makes this component ridiculously useless, sorrry. Is there a way to upload PDFs? Why I cannot choose a PDF file to upload? Hi, I can not find the files uploaded on the server, is there a documentation file for this component? Really good component by the way. But I’m unable to download the package I created, file not found. And I could find the file location on the server : /media/com_downloadmamager/protected/ as you mentioned. Hi so once I have created a download, how do I get it to show up in my articles? You need to add the download or category with menu using menu manager. This component it’s awesome. It looks gorgeous and works great. The only thing missing (and what I was actually looking for, at this moment) it’s a download module. Please, let me know when you release it. Hi, again. I have a problem. Two weeks ago I installed this component in my Joomla website, it was working fine but I had to uninstalled it a few days later while trying to solve another bug I had (also I uninstalled many components more). Now, that I fixed the bug, I tried to reinstall it but something goes wrong. When I install the Joomla Download Manager, my website doesn’t work. It’s goes all blank, when I uninstall it, my website works again. I’ve tried this 3 times already. I clean up cache, checked databases and seem’s ok…. what might be the problem? Not sure exactly, it is working fine in our installation ( Also tested again with a new installation ), probably other component in your installation causing this conflict. can I upload several file with this component? I gotta say, I REALLY LOVE the frontend of the Downloads. Although there are some items you can hopefully add in the near future (like pictures in categories, custom fields in files and folders, and layout customization w/HTML and/or CSS w/bootstrap). I think this is way better than (the outdated) jDownloads. Hi, when i add a preview image in a package, my site goes blank. if i Remove the preview image, the site its ok.
Whant can be the issue? Did you modifying code there, I see now, download it working fine, but probably you added a `die` there. I have seen it. I never edited the code, it most like came that way, you may wish to check the last file uploaded. Just comment out the die(); statement on line 63 and you should be fine. I used this for first time and i was wondering where I can implement it. I’ve installed it and now? It helps to choose the right Menu file 😉 everything is ok ! Great tool! Nice work with this component again. I have a simple question, whenever I add a new download file, the files are listed according to the date of uploaded i.e. the first download link is the first file uploaded and the latest link is down. How can I sort or order the download link from the latest link to the earliest. Thanks, you have a very nice plugin here. Great Work. first! Great and simple tool for downloads! This looks really good. Will it work with Joomla! 2.5? I evaluate Joomla Download Manager. I upload file, and locate it top page. But File size is 0, and I could not download it. Where is file uploaded in my site? comportment tries to create those dir automatically, bur sometimes fail due to permission setting. In such case, you need to create those dir automatically and set permission 0755. However in next update we shall improve it. I created directory and set permisions. I think that the problem was solved. I have suggestion about a new function. 2. date and time format. Hi – very easy to install but I have hit a problem. All works well until I add a preview picture(png), then when I view the menu linked page it loses ALL of the Joomla Template and just shows the category title. If I then delete the preview picture – the template and page comes back as previous. I have left page without preview pic currently (/what-we-do/catalogues) but would really like this option to work – any advice or things to try? TIA! Hi, I’ve got exactly the same problem as Laurence: Blank page with only title when we try to affect a single category to a menu entry if preview a picture’s defined for a package. Thanks for your help. Hi, this component looks great but I’ve got the same problem as Laurance. I’m using Joomla! 3.4.8 if it helps. Thank you in advance. You can delete the one you want. Thank you! I have created a package. How do I link it to a button on an article? will there be an option to give rights to individual users in future updates? thanx for the great tool! But how I can get the direkt link to the downloadpackage? With the url-key it doesnt work!? I am getting the following error after installing and trying to access this component from the back-end of my client’s website. hi. congratulations for the great job your team has achieved . but when I try to upload my pdf files in thepackage unit, instead of having that file in the attached files box, i see the index file of the front-end of mys site. I use joomla 3.6.2 an DM 1.2. Please can you help? I’m setting up this component but I’m not sucessful in attaching a mp3 file. Other file types are attachable, but mp3 is not attached. Is this file type excluded or is something else going wrong? Please, could you take a look? When does the new version come out, which includes frontend upload? This is crucial for me. We are coming with a new update within this month :), but front-end upload feature will be available with premium version only. New version is available now. Can i install the new version (1.3.0) over the previous version (1.2.0) with out losing data? It is not fully translation ready yet, we shall adjust that with the next update of the component. Just downloaded and installed Download Manager. The issue I am having is the packages don’t seem to link to the categories. Great frontend for sure! My only issue is that file upload stops at 1.5mb. My PHP max is 8M, so not sure what’s up here. It’s a 6mb PDF file that I’m trying to upload to the package. Tested the component just now (saturday 18 Feb 2017). Preview image blocks the file and shows the category. This should be fixed in future updates. Also the folders inside “media/com_downloadmanager” should also be created automatically when installing the component. Not everyone has ftp or cpanel access to go and create those folders. All in all, after testing a variety of download managers, this I say is the easiest and friendliest one. Though Phoca download kinda has more features. Actually it should create all dirs automatically, but sometimes it may fail due to file permission in your server, however, I shall check the issue. May you please explain “Preview image blocks the file and shows the category.” little more with an example url so that we can check and fix it in next update. Yes, comparing with Poca Download, JDM has less features, but JDM is released very recently and first we are focusing on ease of use rather then adding tons of features, but we shall continue with adding new feature in every update. And the file itself also disappears from the category. This is a bug. It’s a great extension, very handy and simple to use, just one problem with Alias in UTF-8.